Rabbits and guinea pigs are herbivores adapted to eating a highly abrasive fibrous diet. Feeding the correct diet is extremely important for these animals. There are many “muesli” style diets available but none of them are suitable as entire diets. It is essential that these pets have access to large amounts of grass hay supplemented with fresh vegetables such as cabbage or spinach. If you give too much Muesli or grain the animals will eat less of the fibre and this can cause problems. 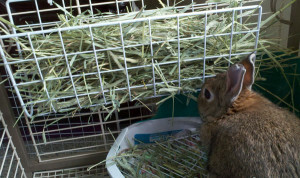 Pellets are preferable to muesli mixes but the diet should be 90% hay. The teeth of these pets grow continually so a low fibre diet will result in teeth that are too overgrown. Once this occurs the dental disease is progressive and incurable so vigilance is required and we recommend annual dental checks. A low fibre diet also causes intestinal changes which lead to illness. As with all animals fresh water must always be available, bottle type water feeders work very well. These animals have the potential to breed prolifically and from an early age. 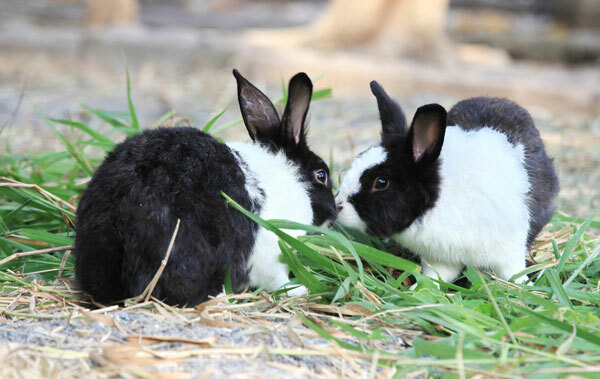 Rabbits may become pregnant as early as 6 months of age, pregnancy lasts 32 days and they may have litters of up to 12 kittens. 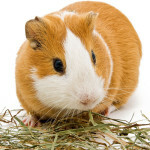 Guinea pigs have less kittens and a longer pregnancy (63 days). Desexing will prevent fighting between entire males as well as preventing unwanted pregnancies. In females it has the added benefit of preventing uterine and ovarian cancers which are very common in entire female rabbits 5 years or older. 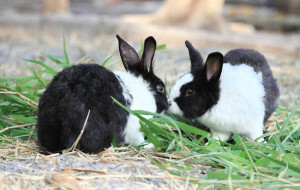 Rabbits should be vaccinated against Calicivirus, with an initial vaccination at 12 weeks of age and then annual boosters. This annual visit is combined with the annual dental check. Myxomatosis “Myxo” is the other highly fatal, untreatable disease of rabbits and there is no vaccination available in Australia.To decrease the risk of myxo rabbits should be kept in a mosquito proof run and exercise at dawn and dusk should be restricted.